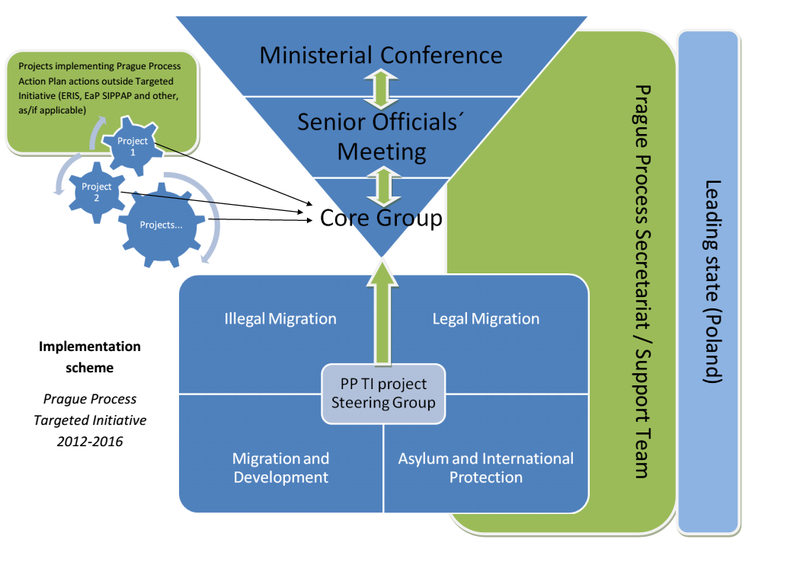 The objectives of the Prague Process are to generally strengthen cooperation in migration management, and specifically to explore and develop agreed-upon principles and elements for close migration partnerships between the participating countries. Supports the EU’s Global Approach to Migration and Mobility. None. International or regional organizations may be invited to observer Prague Process meetings on an ad hoc basis. 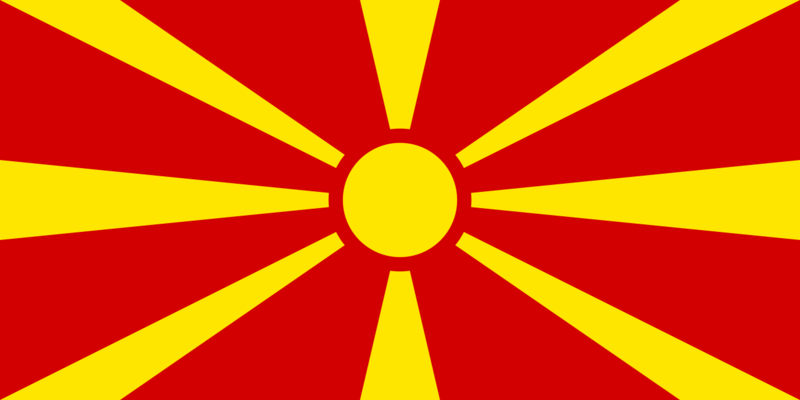 Secretariat is termed “project support unit”, and is run by ICMPD with funding from the European Union. In August 2012 – January 2016, Poland and six other leading states (Czech Republic, Germany, Hungary, Romania, Slovakia and Sweden) implemented the EU-funded initiative “Support for the Implementation of the Prague Process and its Action Plan”, also known as the “Prague Process Targeted Initiative” (PP TI), which supported the Prague Process Secretariat. June 13, 2017, Brussels, Belgium, Closing Ceremony of the Prague Process TI project. September 20, 2016, Bratislava, Slovakia, 3rd Prague Process Ministerial Conference. September 19, 2016, Bratislava, Slovakia, Senior Officials Meeting. June 15-16, 2016, Cracow, Poland, Senior Officials Meeting. May 25, 2016, Vienna, Austria, Project Steering Committee Meeting. April 5, 2016, Warsaw, Poland, Sixth Core Group Meeting. February 11-12, 2016, Sofia, Bulgaria, National Contact Points meeting on the Knowledge base, data collection and analysis. December 7-8, 2015, Prague, Czech Republic, Senior Officials’ Meeting. July 6-7, 2015, Budapest, Hungary, Senior Officials’ Meeting. February 12-13, 2015, Lisbon, Portugal, Workshop “Applied Knowledge in a Migration Policy Dialog: data collection, exchange, and application”. October 28-29, 2014, Berlin, Germany, Senior Officials’ Meeting. May 6-7, 2014, Yerevan, Armenia, Pilot Project 2 (Legal Migration) and Pilot Project 3 (Migration and Development) Joint Workshop. March 19-20, 2014, Nuremberg, Germany, Pilot Project 4 Final Conference. February 27-28, 2013, Prague, Czech Republic, Senior Officials’ Meeting. January 2013, Chisinau, Moldova, Expert-level Workshop on Migration Profiles. November 20, 2012, Warsaw, Poland, Core Group Meeting. November, 2011, Poland, Ministerial Conference. Discussion paper "Five years of the Prague Process: taking stock and moving forward"